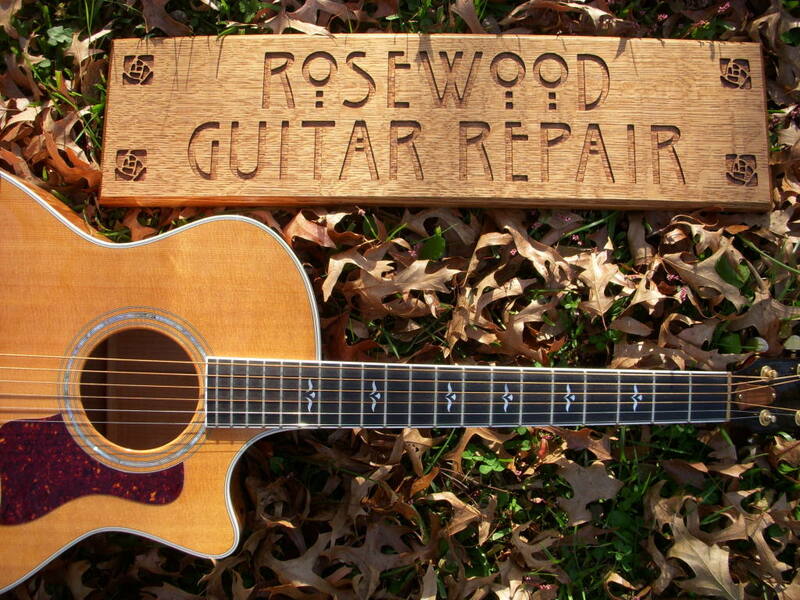 Welcome to Rosewood Guitar Repair! Thanks for dropping by. I’d like to tell you how we can help your guitar to feel, play and look as good as, or better than when it was new! Better than new? Well, yes, you see, musical instrument manufacturing is highly competitive, with instruments coming from all over the world these days in an attempt to reduce costs. Did you know that Epiphone guitars come from 27 different countries around the world? WOW! So overseas builders compete to make the best low-priced guitars, and even the great American builders like Gibson, Martin and Fender are under pressure to balance quality against cost. All too often, instruments from any builder may leave the factory without those last two to three hours of hand work that distinguish a guitar that plays like butter from and one that is stiff, is not property set up, or even has sharp fret ends that don’t feel good against your hand! What does your guitar need? Well, you may already know, if you have a crack, loose wire, or buzzing string noise. Almost anything that is wrong with an instrument can be repaired! Have you seen the pictures of the broken off headstock I fixed? These are obvious problems, but even a seemingly sound guitar can benefit from a proper set-up, which makes it sound better and feel better to play. If your guitar is more comfortable, you will play it longer, becoming more skilled, having more fun, and of course, becoming rich and famous! If you are a beginner, a properly set up guitar can help you overcome the initial discomfort during your first couple months, when your fingers are protesting their newly inflicted pain! Please go to the "Services" page for repair prices and descriptions, and visit me on Facebook for lots of photos of actual repairs.